* This is an established liquor store for sale located in Shasta County. * This liquor business is situated near the dense residential area of the town. * The store building has easy access from the road and ample parking area. * The business sells different variety of convenience store items, liquor, beer, wine, and other drinks. * This store has the loyal customer base which is one of the sources of its business. * Current Gross sales is up to $90,000 monthly estimated, as per owner (broker has not verified this gross sales number so buyer should investigate independently). * Liquor license was introduced last year and remodeled cooler. The store has been increasing sales year by year. * The sale included furniture, fixtures, and equipment owned by the owner. * The store has freezer cooler with good storage area for extra beverages. * Current rent is about $3500 per month approx. which is less compare to other bar businesses. * Buyer may get a long lease assignment with the approval of landlord with acceptable terms to both parties. * Inventory is not included in sale price and sold separately. * Owner is willing to finance the sale of the business with mentioned down payment to qualified buyer. * Read below Notice to Buyers as part of this Ad. To get location, Please SIGN NDA and Call or Email to discuss. This is a Western Singh Business Brokers listing. ADDITIONAL LISTING INFORMATION: NOTICE TO BUYERS: This business opportunity and/or real estate is listed by Western Singh Business Brokers ("Broker"). Visitor ("Buyer") understands that Broker or its agent(s) does not audit or verify any and all above mentioned information (not limited to sales, building size, lot size, margins, profits) given to or gathered by Broker or its agent(s) or make any warranty or representation as to its accuracy or completeness, nor in any way guarantee future business performance. Buyer is solely responsible to examine and investigate the Business, its assets, liabilities, financial statements, tax returns, and any other facts which might influence Buyer's purchase decision or the price Buyer is willing to pay. Any decision by Buyer to purchase the Business shall be based solely on Buyer's own investigation and that of Buyer's legal, tax, and other advisers and not that of Broker or its agent(s). Any listing information may change at any time without any notice. Buyer acknowledge that by using this website and inquring about any listings on this website shall not establish any agent and principal relationship between Western Singh Brokers and the Buyer. Western Singh Brokers is or will always be exclusive agent of seller only during any discussions or activities related to any listings on this website. 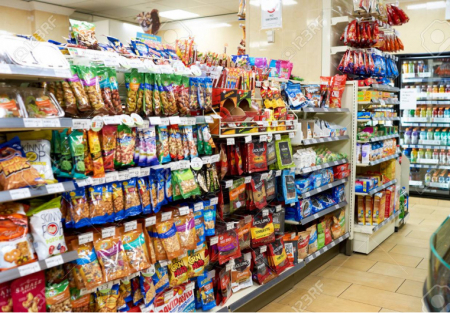 Western Singh Business Brokers helps buy and sell businesses for sale like gas stations, liquor stores, convenience stores, grocery stores, local markets, coin laundry, tabacco shop, cigarette stores, smoke shops, restaurants, and franchise businesses. Western Singh Business Brokers is serving in california in areas like modesto, sacramento, stockton, ripon, manteca, lodi, lathrop, elk grove, galt, tracy, livermore, dublin, pleasanton, alameda, merced, madera, ceres, turlock, hilmar, gustine, newman, los banos, delhi, denair, livingston, clovis, fresno, tulare, sonora, jackson, amador, roseville, placer county, el dorado hills, citrus heights, and other northern california area.